INTRODUCTION: Acute pancreatitis is basically considered as activation of inactive proenzymes in the pancreas and digestion of the gland itself. This study was performed to determine if prolidase enzyme, which plays a role in collagen metabolism, could be used as a parameter to assess the severity of pancreatitis in experimentally induced mild and severe pancreatitis. MATERIAL AND METHOD: To create experimentally induced acute pancreatitis 0.1 ml of normal saline solution (NSS) was given five times with an interval of one hour to rats in the first group; 50 µg/kg of cerulein five times with an interval of one hour in the second group; 80 µg/kg of cerulein five times with an interval of one hour in the third group, in the form of intraperitoneal injection. RESULTS: When the serum prolidase values at beginning, 1st, 5th and 24th hours in group II and III were compared among themselves, there was a statistically significant increase(p < 0.05). The evaluation between groups revealed a statistically significant increase in the value of serum prolidase in group II and group III compared with the control group (p < 0.05). In comparisons performed with tissue values, a statistically significant increase determined in the value of serum prolidase in group II and group III compared with the control group was observed (p < 0.05). CONCLUSION: The findings obtained in our study showed that prolidase activity increases directly proportionaly with the severity of pancreatitis. 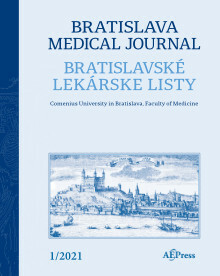 This allows us to postulate that prolidase enzyme activities provide guidance about the metabolism of collagen in patients with acute pancreatitis, serious damage occurring in collagen protein and metabolic control is further distorted depending on the duration and intensity of damage but to be able to speak more precisely, there is a need for further, more detailed and extensive researchs (Tab. 8, Fig. 2, Ref. 30).